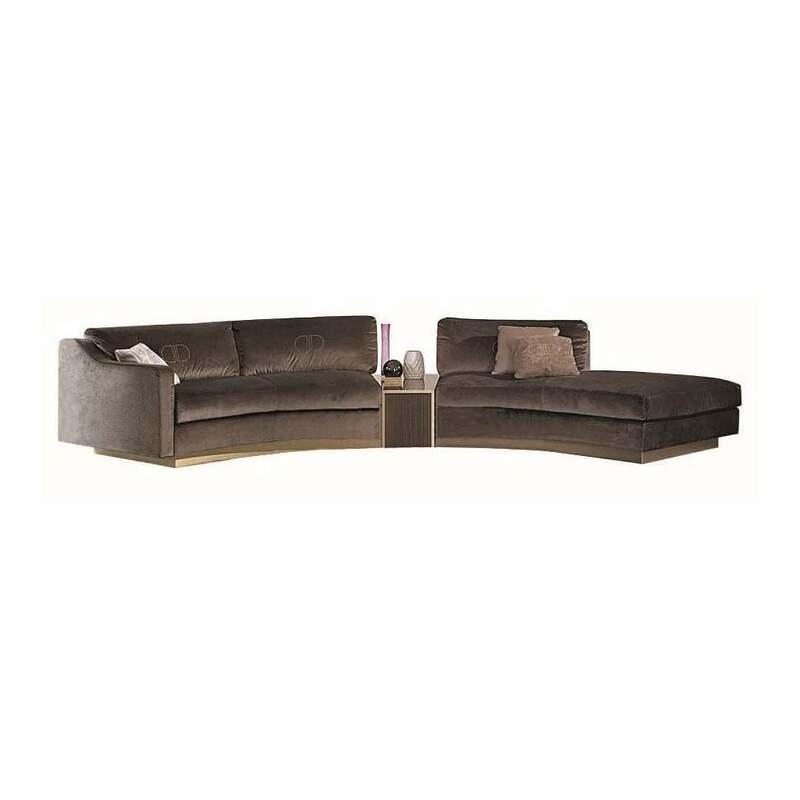 Add statement style to your living space with the Montecarlo Daytona curved sofa. The modular sofa is designed by renowned interior designer, Leonardo Danielli. Upholstered in high quality fabric, the upper layer is air soft, covered by soft goose down for maximum guaranteed comfort. An elegant linking element with dark walnut veneer and brushed gloss finish constitutes a connection between sofa parts. This element has an internal drawer with blue motion runners. Montecarlo sofa is available also in leather or in nubuck leather. Make and enquiry for more information.